Piracy for ransom remains a significant maritime security threat adversely affecting the interests of the shipping industry, maritime trade and the welfare of seafarers. The profits made by pirates through ransoms have led to several states, including the United Kingdom, to argue in favour of an absolute ban on ransom payments to pirates. These proposals are heavily influenced by similar policies adopted in the context of terrorist hostage-taking, in which it is often argued that ransoms sustain terrorism and an absolute ban on terrorist financing must therefore be imposed in an effort to eliminate terrorist attacks. 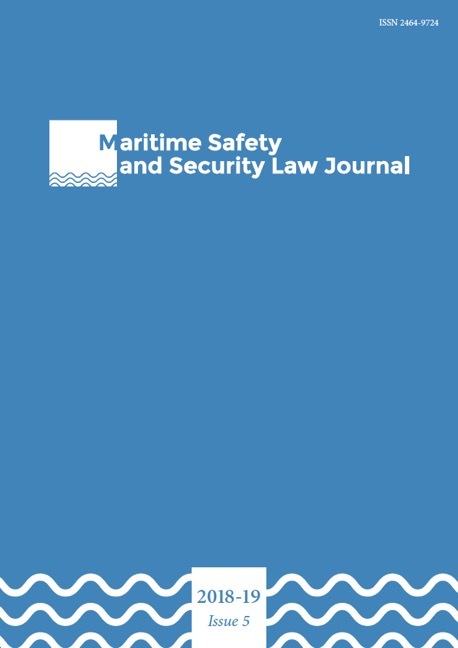 However, this article argues that maritime piracy for ransom operates in a strictly commercial environment that is fundamentally different from terrorism, and therefore a ransom ban could cause more loopholes and practical problems than it would resolve. An examination of the current policies on ransom payments shows that there is no universal ban on piracy ransoms and that such payments remain legal and compatible with public policy in the UK. It is also explained that a ban on ransom payments to pirates could have significant human rights implications for the protection of seafarers, who are the targets of the piracy for ransom model, and it is debatable whether an absolute ransom ban can be reconciled with the human rights obligations flag states have towards those held hostage on board their vessels. The economic cost of a ransom ban is also discussed, and it is explained that a ban could increase industry costs instead of reducing them. It is also argued that such a ban is not compatible with the current interpretation of the Marine Insurance Act 1906, reinforcing the overall conclusion that an absolute ban on ransom payments to pirates is not fit for purpose.